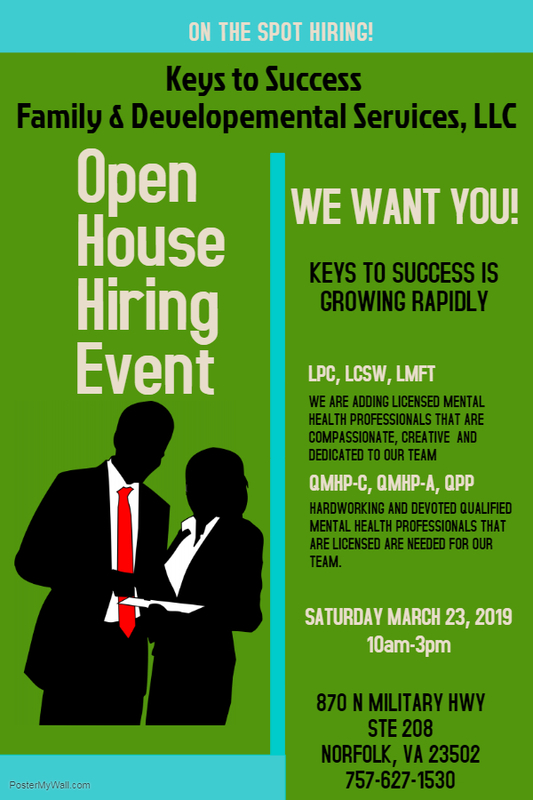 Keys to Success is holding an open house hiring event. Offers will be made on the spot. We are hiring for Licensed Clinical Social Workers, Licensed Professional Counselors, Qualified Mental Health Professionals that are licensed with the Virginia State Counseling Board to work with Children and/or adults, and Qualified Mental Health Paraprofessionals. Our team is growing rapidly and we are looking for dedicated and experienced professionals to add to our team.